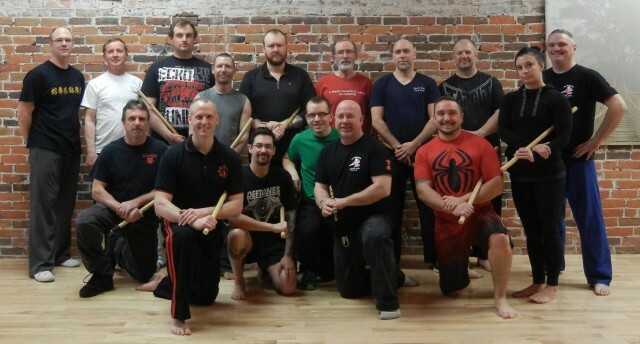 Saturday April 25th I had the pleasure of going to North Bay, Ontario and teach Presas Arnis Single Stick Concepts at North Bay Ving Tsun. The day started off with learning the 10 basic strikes. Everyone partnered up and each person took turns performing focused strikes towards at our partners. The stepping was a little foreign to most in attendance but everyone was flowing nicely in a short amount of time. Partner drills that worked some of the striking styles was next up. These drills were a great way to get everyone to strike a target with impact and follow up immediately with an empty hand strike. Finishing off the morning session, we moved on to a core drill in Presas Arnis which is Block/Check/Counter. The group progressed well and in a short time everyone was moving well through the drill. After short lunch, we quickly reviewed Block/Check/Counter and moved on to disarms and controls. Forearm strip and then snake disarm were worked for the most of the afternoon. Everyone did a fantastic job and were moving well in a short amount of time. 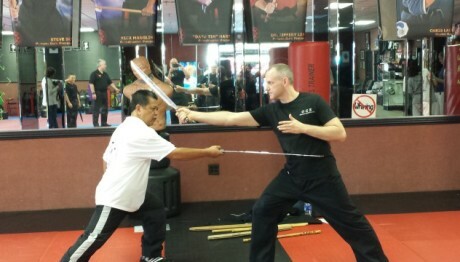 As the seminar came to a close, everybody had the opportunity to gear up and try out some padded stick sparring. Several people took the opportunity to try it out. It was a nice eye opener for those that have never experienced it. 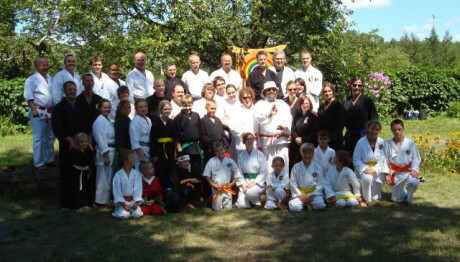 Huge thanks for Sifu Colin Young for organizing this event.